Hello Sunday! Sunday and I have a weird relationship. I like Sunday because it is one of the lovely weekend days....but I always have this overwhelming feeling that I have to get things done - clean the house, meal prep, prep for school, get the kids ready for the week. You know the drill. One of the things I do LOVE about Sunday is running long. Sometimes I get crazy and run long on Saturday... I know. I live a super crazy life. Anyway, I digress. Back to the long run. Carrie and I had arranged that we could meet up for a long run today and I was super excited! Twins!!!! Spandits thermal #FOWL PLAY tights! 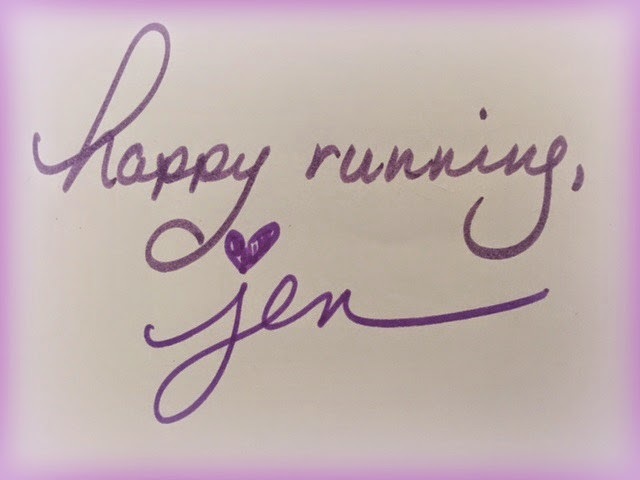 We met up at Granite City Running, our newest local running store, and ran for an hour before heading back to the store to meet up with the Sunday running group. We were super excited to join the group and were excited we were the first women to join the group. Normally we say goodbye to the rail trail, but since the store is on the Kennebec River Rail, we ventured out on it. It was incredibly slick in spots but at least I wasn't on the road - which was a nice break as well. Carrie and I got in 10.5 miles and were so tired at the end. Next week we have the MidWinter Classic - our favorite winter race - 10 miles in Cape Elizabeth! I'm not really sure what that race will be like. A PR? A fun long run? 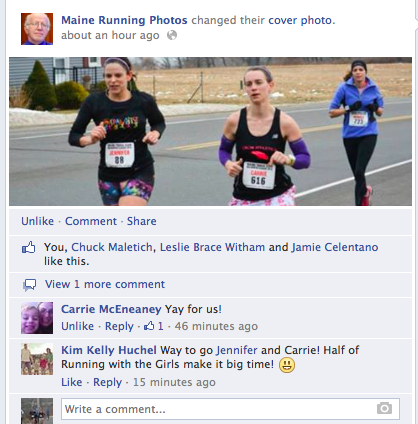 Perhaps we'll make it big again and be the featured runners on Maine Running Photos again? That would be perfect! What I do know is ever since the death cold I had a couple of weeks back, my lung capacity hasn't been the same. I'll take it easy for the week and just see where it gets me. Darn asthma and winter running! Carrie, being the always positive person, reminded me that this is not our goal race...so I need to let go. I'm trying, Carrie! Do you have a race coming up? How has the training been?